Lifeonics Limited, the developer of smart, in-­‐situ analytical devices is pleased to announce the signing of a distribution agreement with Hangene Ltd., an estabished distributor of scientific laboratory equipment in the Taiwan life science and industrial markets. Hangene will launch, market and support SMOD™, a unique, miniaturized device for non-­‐intervention monitoring of cell culture fermentation, ideally suited for laboratories growing cells in flasks. 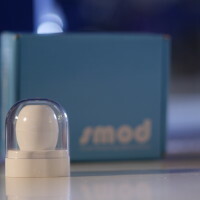 SMOD acquires optical density and temperature measurements within the flask, according to user-­‐defined protocols and reports data via wireless communication to a lab-­‐based PC. Data is also made available to mobile devices over local networks. Lifeonics Profiled by Callaghan InnovationLifeonics introduces the unique SMOD™, real-time cell culture monitoring device.